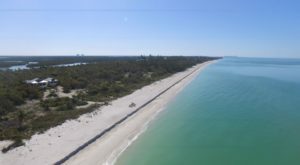 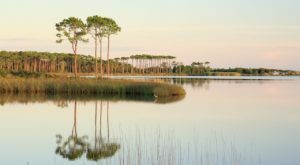 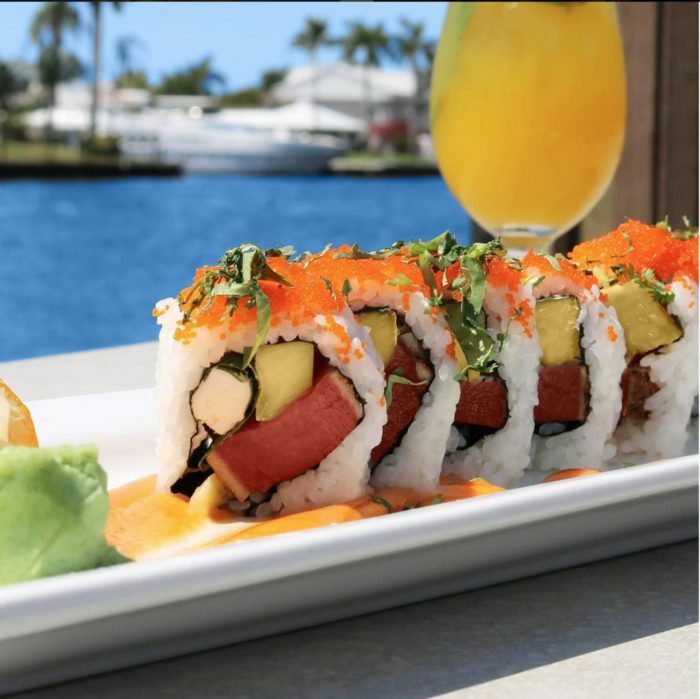 A slice of tropical paradise—that’s why people usually say when they think about this Florida staple. 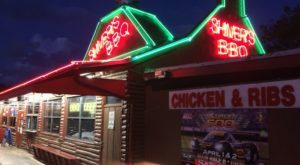 And while relaxing on the patio as the sun dips below the horizon is one of the best feelings around, there is another reason to visit this restaurant that most people don’t even know about. 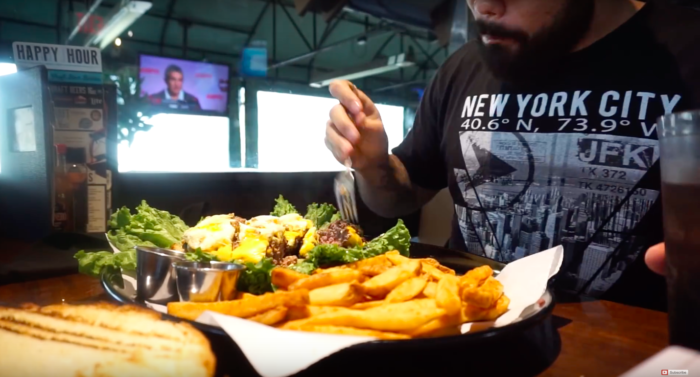 I hope you’re hungry—because the burger challenge at this waterside spot is a true Beast. 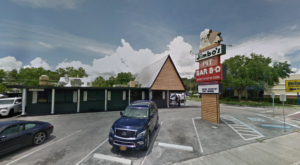 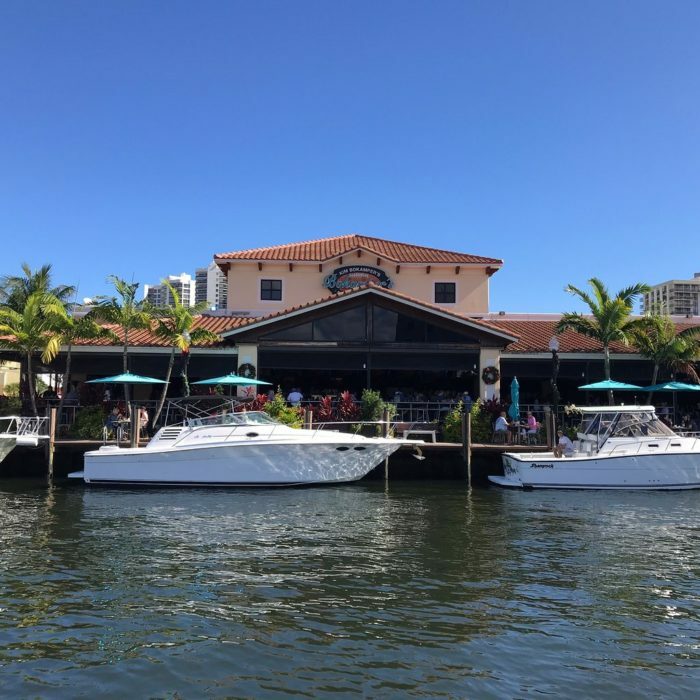 Bokampers Bar & Grill is pretty much an institution in Florida—a place where people congregate during games for cold beer and wings, or sidle up after a day of boating for some rest and relaxation. 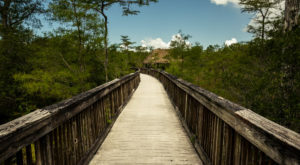 But while this waterside tropical paradise might be just what you need on a sunny day, there is another reason to visit, one that you might not expect. 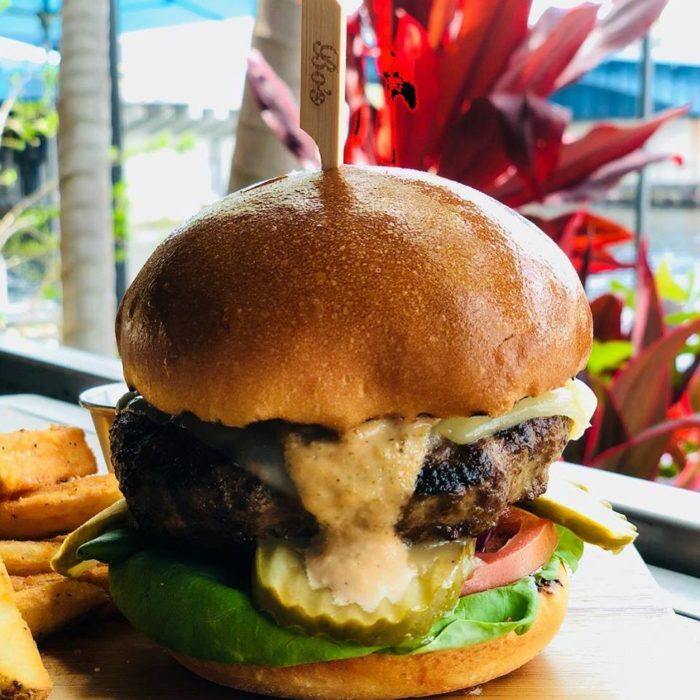 For those who seem to be more than satisfied with a 1/4 burger filled with all the fixings, there is another burger at Bokampers that can hold its own. 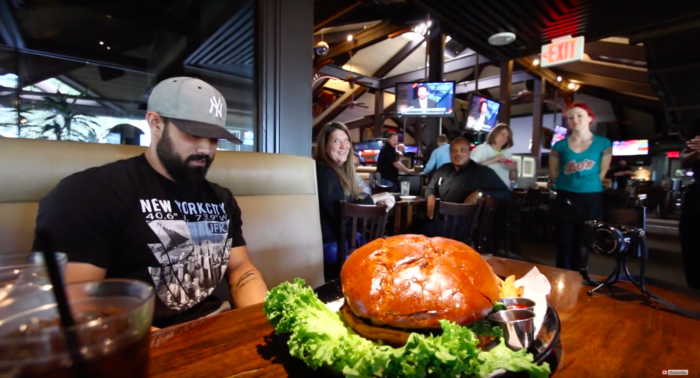 Bokampers has a 5-pound burger known as the Beast Burger, which has become the ultimate burger challenge for patrons looking to chow down. 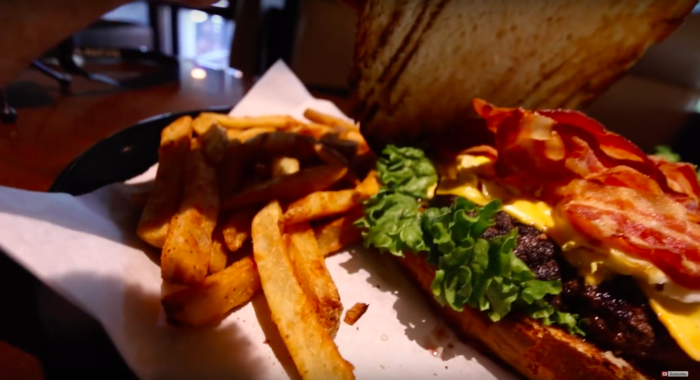 The burger weighs roughly 5 pounds, and includes an all-beef patty with four slices of American cheese, eight slices of bacon, four fried eggs, and lettuce all piled between a giant bun. 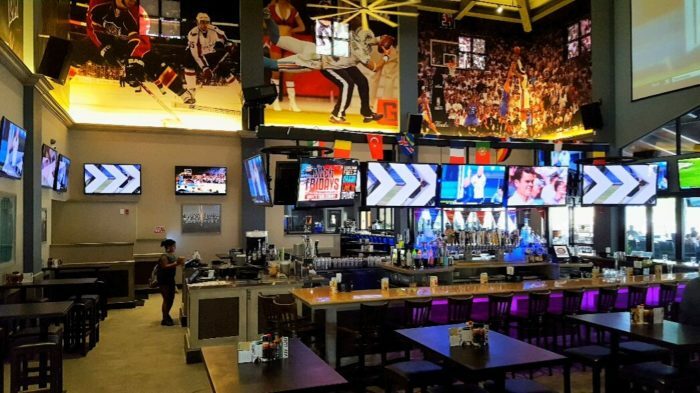 Fries are optional, and while you don’t have to eat them to win the challenge, they might be nice to have cheering you along from the sidelines. 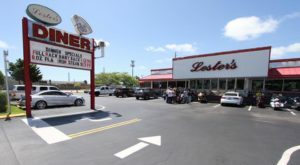 Guests who take on the Beast Burger challenge will have one hour to eat the burger, and if completed will get a free meal and their name on the wall of fame. 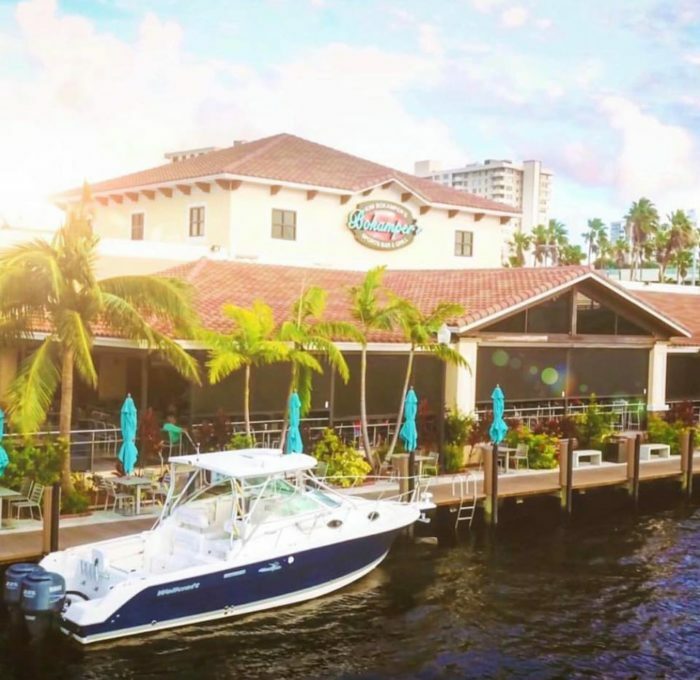 The next time you feel like you’re ready to take on the ultimate burger challenge in Florida, plus take in insanely beautiful waterfront views, Bokampers is your place. 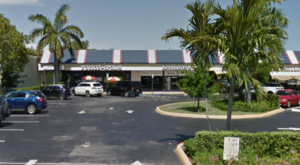 Bokampers has quite a few locations in Florida from including Estero, Fort Lauderdale, Mirarmar, Naples, and Plantation. 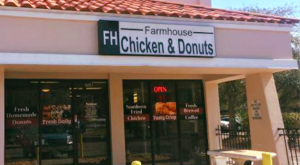 To find the location closest to you, visit the website or Facebook Page.